Kairos International Sicav PEGASUS UCITS in Long/Short Equity (Discretionary) – Europe Best Performing Fund in 2017.
Pegasus UCITS is a flexible equity sub-fund which invests mainly on the European stock market. The objective of the sub-fund is to generate a positive absolute return over the medium term, through a long-short, special situations strategy. 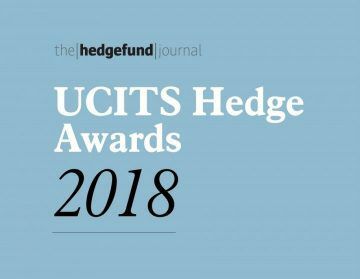 The UCITS Hedge Awards are sponsored by the Hedgefund Journal and are given to companies that stand apart for the excellent services they offer the hedge fund industry.